"Aux Armes Et Caetera" b/w "Lola Rastaquoère"
Nice tunes, too bad they're not downloadable . 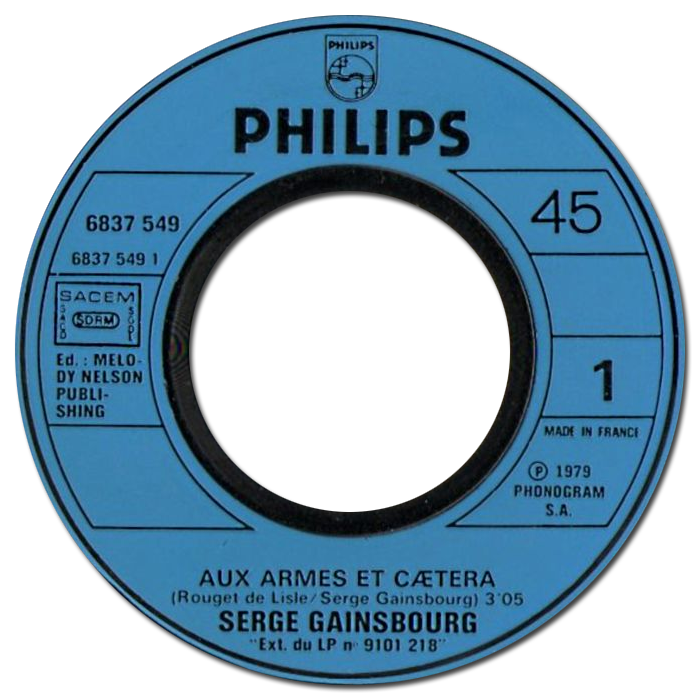 Glad you are grooving on Serge, Amed. Thanks for leaving a comment. Man, you got me hooked on this. I grabbed the Dub CD in FLAC & it sounds mighty mightee (& I have never been a M. Ginsburg fan, all that sighing & fey Frog shite). Thank you for some great music. You may have a point. His collaborations and infatuation with Jane Birkin, the theatre of orchestrating offence, probably did more to alienate an audience than it did excite the infirm. Despite that, M. Gainsbourg made some splendid excursions in the studio on the back of a borrowed tune. To say nothing of his igniting the mirrorball with primitive one finger wizardry a la Scratch in his Black Ark. Just listen again to that sampled loop overlaying the groove on "Bonnie & Clyde". It's hard to believe that it was recorded and produced back in 1967. Glad to give you the prompt on this occasion.